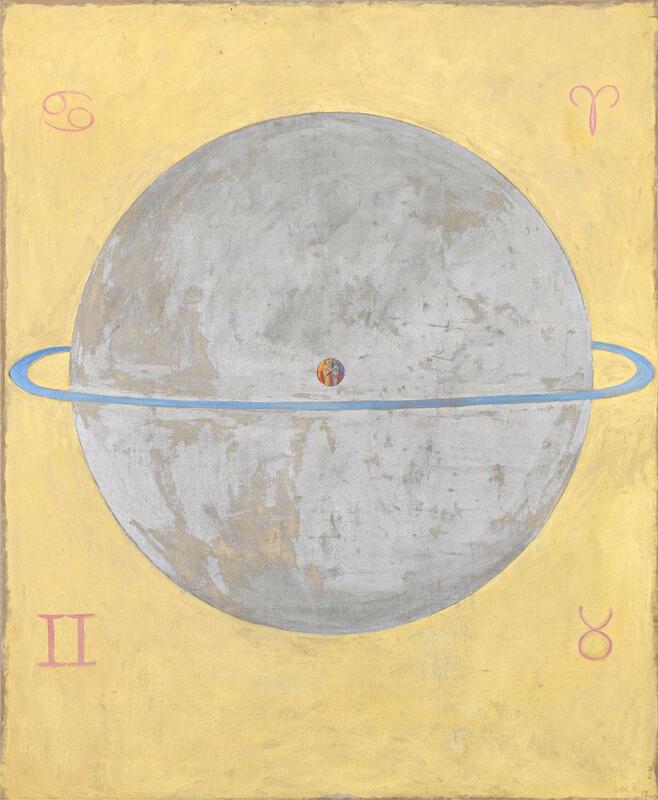 100 years ago, Hilma Klint painted for the future, and here we are. It is almost as if she knew that the Starseed generations of today would resonate with the themes represented in her work. 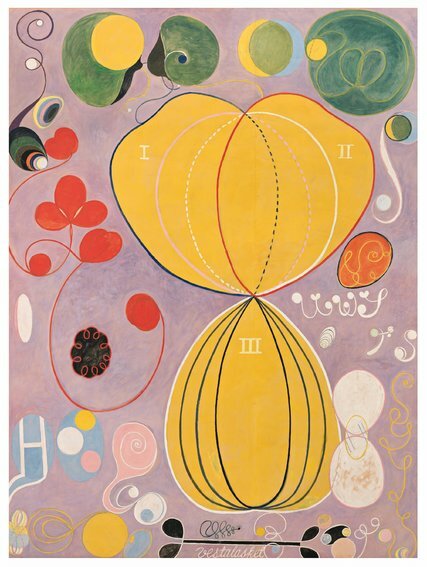 In the early 1900s before Kandinsky,Mondrian,and Malevich, Hilma Klint was painting large-format abstract works. Being the true unspoken pioneer of abstract art. Klint felt that her work was not ready to be shared. In her will she asks that it not be exhibited until 20 years after her death. Klint’s background was in classical landscape and fine arts and she left behind many botanical watercolors and landscapes amongst her thousands of paintings and writings. Her work explores a world beyond that which we can see. 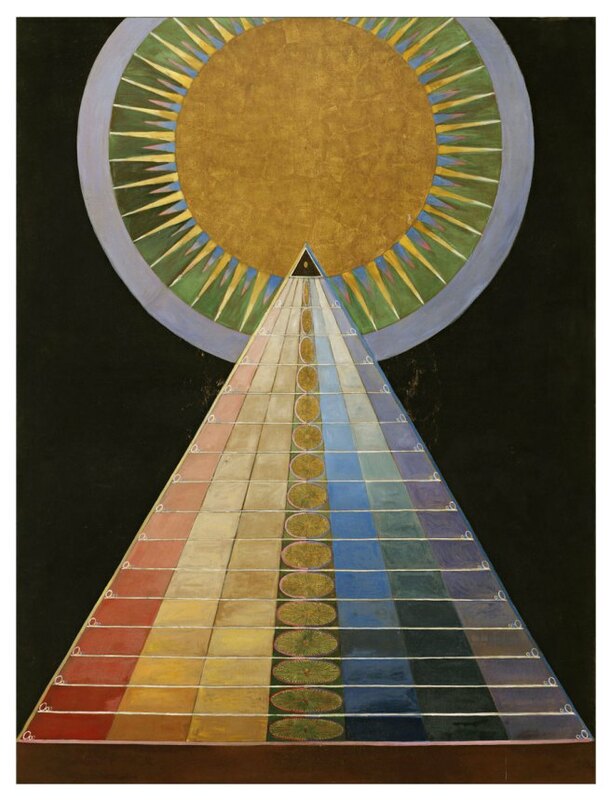 Klint was fascinated with the theosophical and spiritualist movements of her time. When she was young she took part in a number of seances. People had become interested in a world parallel to this tangible one. Yet this world was still not ready to embrace a woman into the art circles of men. Klint showed her work within a circle of women and then got together with four of them and made a group called “The Five”. They held seances and automatic writing sessions on Fridays, where Hilma was the medium. 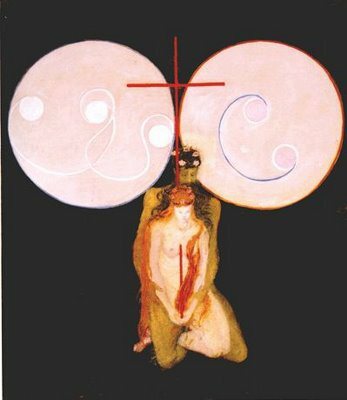 The women contacted higher levels of consciousness that conveyed their messages through the art and writings she left behind. They called the 193 works ” Paintings for the Temple”, most in large format. It took her about nine years to crete the works, the whole time in contact with higher consciousness although over time the connection fades and that is seen in the paintings. We see the microcosm, the macrocosm, duality, creation and the truth that all is one. 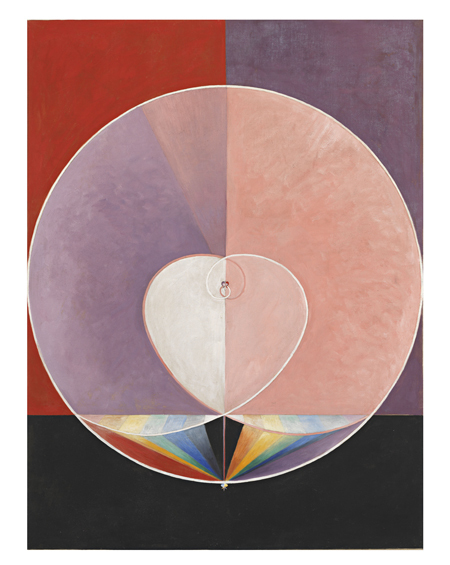 Check out the works of the Painter and Mystic, Hilma Af Klint! “all the knowledge that is not of the senses, not of the intellect, not of the heart but is the property that exclusively belongs to the deepest aspect of your being…the knowledge of your spirit”.